Visual Intelligence and Machine Perception (VIMP) is a research group at the Department of Mathematics "Tullio Levi-Civita" of the University of Padova, Italy, led by Lamberto Ballan. VIMP is also affiliated to the Human Inspired Technologies Research Centre (HIT). 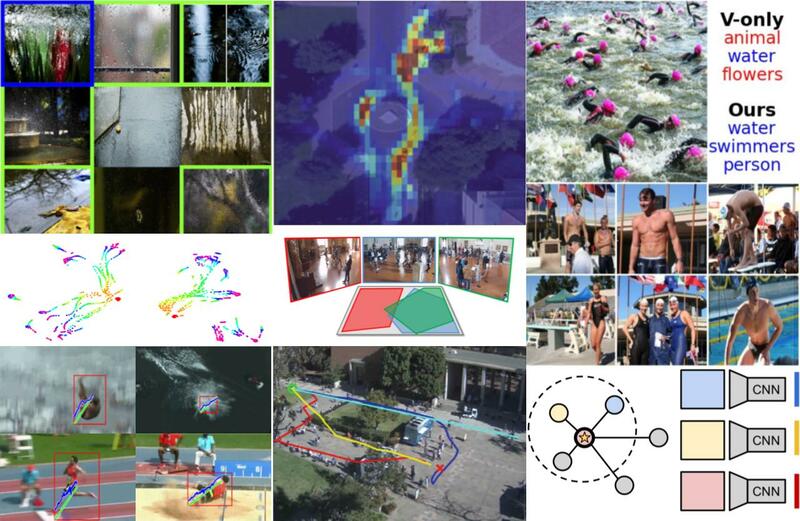 We conduct research in computer vision, applied machine (deep) learning, natural language processing and multimedia. We aim at developing artificially intelligent systems to help computers perform visual perception and recognition tasks. The main focus of our current research is on designing models that are capable of effectively exploiting contextual knowledge in presence of sparse and noisy data. We are always looking out for talented members to join our group. Please take a look at the Join Us page. 2019-3-6: PRIN-17 results are out and our project "PREVUE - PRediction of activities and Events by Vision in an Urban Environment" got funded! 2018-11-9: We are co-organizing a seminar series on the impact of AI and big data on law and society. You can watch L. Ballan's talk on YouTube. 2018-6-14: Pietro Perona (Caltech) gave a talk on "Visual recognition: From categorization to knowledge" at our Colloquia Patavina (YouTube video). 2018-2-28: This semester we are offering a new course on vision, cognitive computing and applied machine learning: Cognitive Services. 2018-1-10: A paper on trajectory prediction in urban scenarios has been just accepted by the Image and Vision Computing journal (this is a joint work with EPFL and Stanford).